In the wilderness that is popular Christian music, weighed down by dreams of secular emulation and candy sweet images of the happy-go-lucky Christian life, there are a few who stand strong in the changing winds of contemporary Christian music culture. 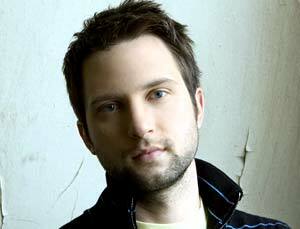 Brandon Heath, with his soaring voice and unapologetic faith, stands up among these, embracing the shifting and blurring lines that are beginning to create music that appeals to not only believers, but seekers as well. Born and raised in Nashville, TN, Brandon got his start playing guitar and writing songs as any guy of 14 might, trying to impress a girl. "I got a guitar as a Christmas present," says Brandon. "I took a month of lessons to learn the basics so I could write songs for my girlfriend. I think we broke up about 2 weeks later," he laughs. "I found this thing inside of me that was waiting to get out and I still think it's begging me for wings." Brandon met Jesus through a youth outreach organization called Young Life and has grown into his faith and music. He was surrounded by examples such as his high school student teacher Miss Owens, who through her example of faith and determination inspired him to look at his own gifts and how to serve God with them. That same Miss Owens would go on to become known to the world as the Dove Award winner, Jenny Owens. As the presence of Christ penetrated his life, it began to be reflected in his music, writing songs were not only personal, but also shot through with a common thread found in every man. "It is my hope at least," says Brandon, "that people can take my song and make it their own. I think for a songwriter to find any worth in his craft, he first has to give it away. People are honest,they'll let you know if you are reaching them or not." Ironically it was Young Life, the same place he found his faith, that gave him the chance to share it with others through music. After having his guitar stolen in the spring of 2000, Brandon decided to make a short album of his own songs in order to raise money to replace the instrument. While working at Malibu, a Young Life camp in British Columbia, he sold the album to the kids there. They couldn't get enough. Back home, his mom had to take on the roll of CD operations manager involuntarily, spending hours at Kinko's running copies of the insert for Brandon's album just to keep up with demand. One short summer and over 1000 CDs later, Brandon knew he had had a clear taste of what his future would be. Since then Brandon has been playing at Young Life camps and retreats throughout the years, graduated from college, playing regularly in the local Nashville music scene, as well as leading worship at West End Community Church, Carter Crenshaw, pastor. His clear tenor, both versatile and melodic brings a motion and a soul to his new album, Soldier, released January of this year. Produced by Chris Davis, this album brings in wonderful musicians such as Ed Cash (Bebo Norman, Caedmon's Call), Ruth McGinnis, and Matt Wertz. With influences like Sting, Patty Griffin and David Wilcox, Brandon brings folk and rock into a blessed union of faith for the common soul. This is music to lift you up, make you think, and enjoy every moment of the journey.